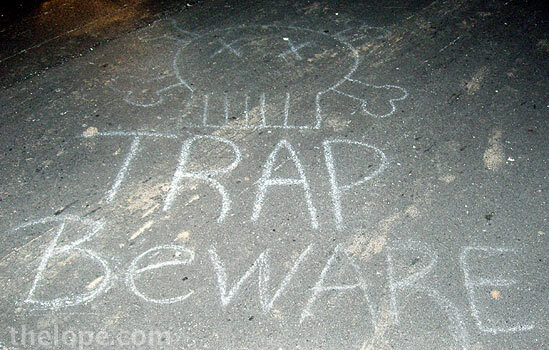 Chalked graffiti on the pavement names the reason people come to this obscure road near the intersection of Missouri, Kansas and Oklahoma. I imagine that others who grew up near the Missouri/Kansas/Oklahoma corner feel as I do - that it's perfectly normal to have a mysterious floating light down yonder country road. 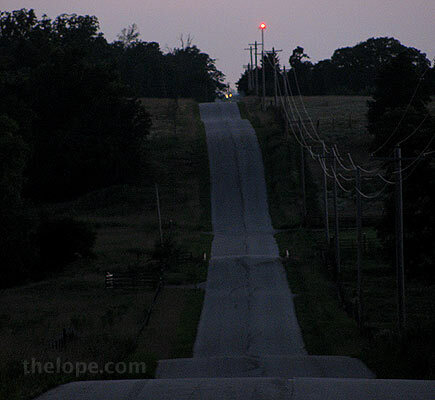 The "Tri-State Spook Light", also called by over a dozen other names, is usually said to be seen along what is currently called East 50 Road in Ottawa county, Oklahoma, though some say is has migrated and used to be on East 40 road. I've never seen it myself, but people I trust say they have seen floating lights, and even globes of light that travel over the tops of cars, so I'm keeping at least a slightly open mind. By the way, I'm the guy in the car who says "that's no ghost; that was a reflection / echo / stomach growling / you're tired / the landlord moving our our things when we're out / thermal expansion of floor boards"...well, you get the picture. Honestly, I'm not this way because I don't want to believe in wondrous things - quite the opposite. I think that if supernatural phenomena exist, we owe it to the wonder of their existence to be brutal in our weeding out of all things "not quite." The light often appeared partially eclipsed by a distant phone pole, such that it looked like two lights that alternated randomly in brightness. 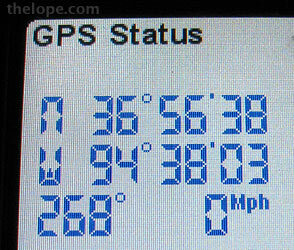 This was my location on a GPS along East 50 road. 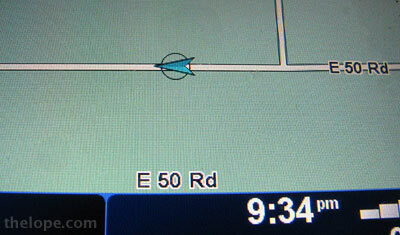 The road intersecting just to the east of us was South 690 road. Now here's the deal: We were right in line with numerous artificial light environments including I-44 and a section of Route 66 (hwy 69) about nine miles to the west in Quapaw. Apparently interstate and blue highway do work together; they may well give us the current spook light. 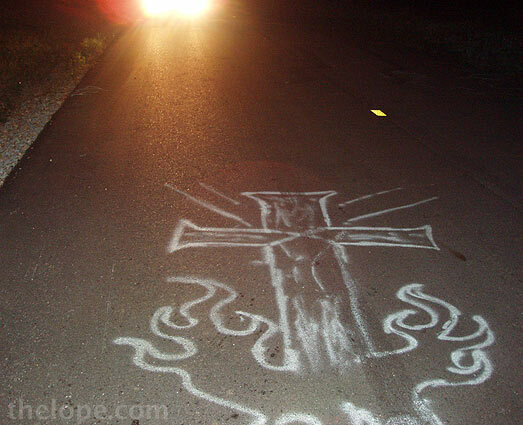 If you've researched this, you may well point out the light dates from before motor cars and highways. 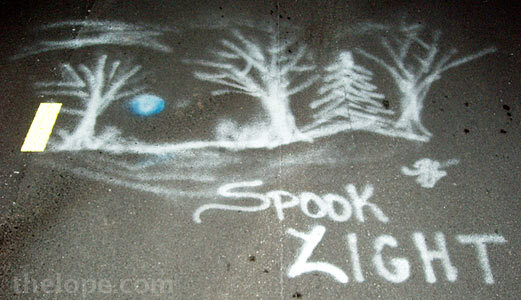 I'm not saying all spook light sightings are "not quite" - just this one. OK, I promise - no more party pooping on Halloween. How about some nostalgia? 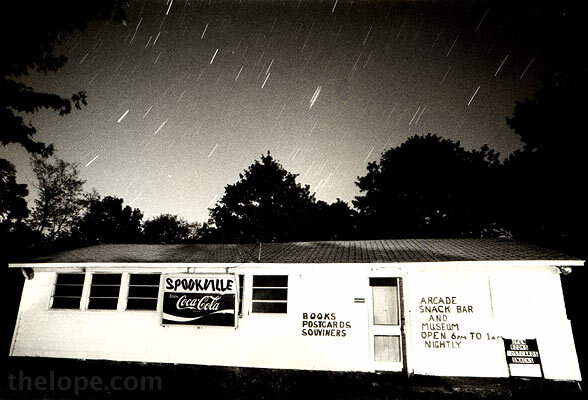 Currently, nobody's making a buck off the ethereal light that I know of, but back when I was in college in the early 1980s, I shot a time exposure of this white building that stood near what we then nicknamed "Spooklight Road." The building is gone now, but "Spookville" was a local tourist trap with an observation area and rental binoculars. "We were sitting in the car, probably in the road as there weren't that many people going there back then...We were just sitting in the car waiting for it; anyway, finally we saw this glow. It didn't really have a shape; it was just a glow. It looked round but no definite shape." 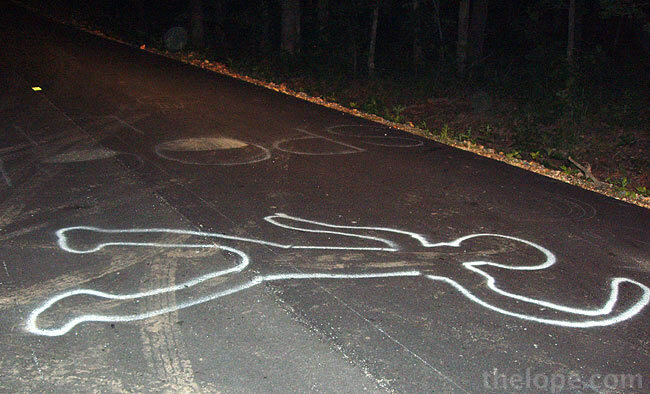 "It came down the road toward us. It came - and went back the same way it came." "It wasn't on the road; it was in the air, or appeared to be." "We went back other times and we never saw it again," she ended. Do you ever want to plug into someone's brain with a USB and download a memory? When I was in college this road was gravel, Now it's paved. It still makes for an atmospherically spooky drive, spectral or not. Yes, this is the bible belt.